Kurdish peshmerga were unable to adapt quickly enough to poison gas when it was first used in the late 1980s because of the fear it unleashed, according to Mala Baxtiyar, a Patriotic Union of Kurdistan (PUK) leader who witnessed chemical attacks first hand. ‘We lost a lot of people to chemical weapons. 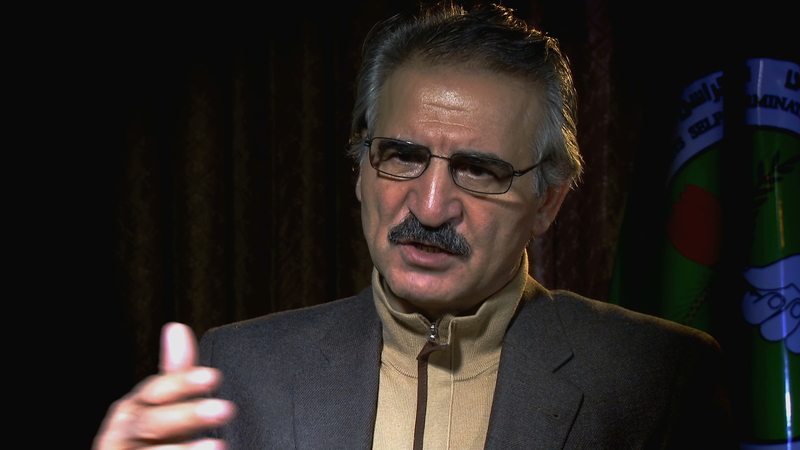 Some 80% of the villages in Kurdistan were lost, if not more,’ says Mala Baxtiyar, head of the PUK’s Political Bureau Executive who helped lead his movement’s fight against the Iraqi army in the late 1980s. Although the PUK’s main base in the Jafati valley was attacked with poison gas in 1987, the scale of the next chemical onslaught faced in late February and March 1988 came as a shock and forced thousands of civilians and peshmerga to flee for their lives towards Iran. Some analysts believe that keeping a fixed base in an area when chemical weapons had already been deployed was a strategic mistake by the PUK leadership. The Kurdish political parties were forced to change their strategy. Their headquarters moved across the Iranian border and small groups of peshmerga guerrillas moved inside Iraqi Kurdistan. They hid during the day in caves and remote mountain villages and operated at night. Only very fit partisans capable of walking 10 hours at a time whilst carrying a Kalashnikov and a backpack could operate in the mountains. ‘These were the only ones who could fight as peshmergas,’ says Mala Baxtiyar. In 1988 the Balisan valley was attacked by the Iraqi army with chemical weapons.